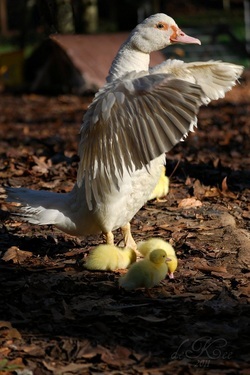 All birds sold for pick up by appointment here on the farm in Accokeek, MD and babies as straight-run only as I cannot guarantee sexing (unless they're auto-sexing). Unless otherwise indicated, all birds are large fowl only. 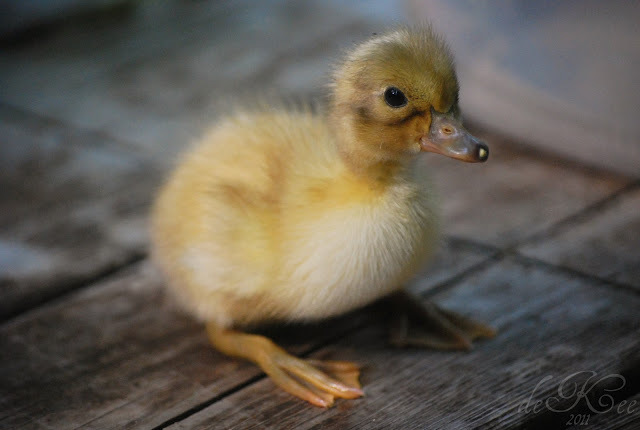 Baby chicks, ducklings, and hatching eggs are available from about April through July. Please click the green "View Price-list" tab for more details. Current availability varies with hatch timelines and rate of lay - I'm at the mercy of Mother Nature and mother ducks. If you're interested in any of the available livestock you see below please contact me and we'll schedule a time for you to come by. 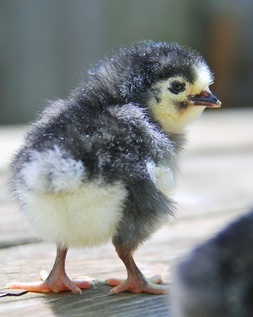 BBS English Orpington Chicks (Blue/Black/Splash) $10 ea. Hatching every 2 weeks from April through July. Originating in England, Orpingtons are a large, stately chicken with a docile and happy disposition. They’re a large, heavy bird weighing from 7 – 10 lbs with lots of fluffy plumage giving them an even larger appearance (and pretty little petty-coats). They thrive and produce very well in cold or hot weather and are very friendly and tractable. Broodiness is also a well known trait with the Orpington, and they make excellent setters and mothers of all poultry species. 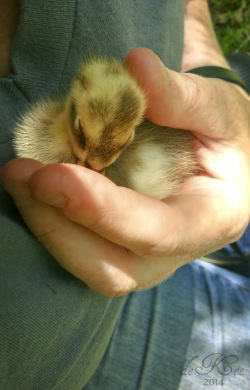 I often have mine hatch and grow out baby ducks. 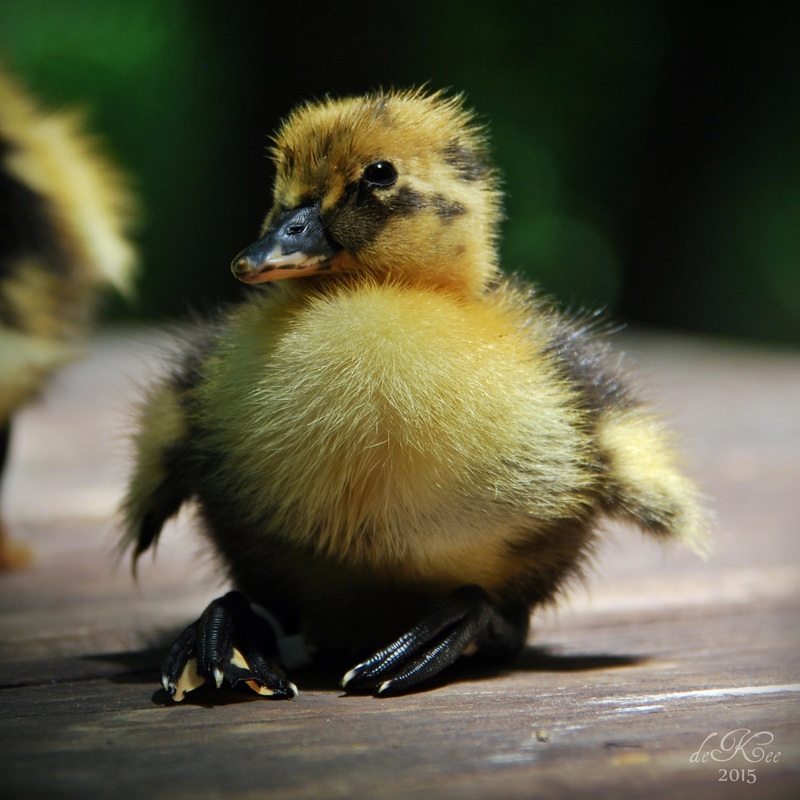 ​Our BBS Orps come from the quality stock of breeders we know well. They have excellent type and feathering… we don’t keep any hatchery birds in our breeding program! 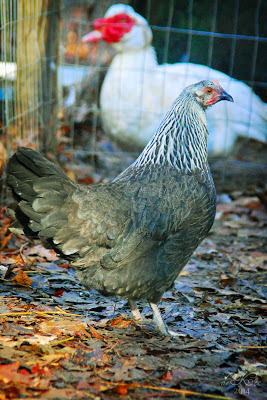 This hardy, beautiful, sweet chicken is a great addition to any family backyard or homestead operation! All birds sold for pick up here on the farm, straight-run only, minimum purchase 3 of any breed. French Black Copper Marans Chicks $10 ea. Our Black Copper Marans (BCM) are quiet and gentle, hens are friendly and tractable but keep in mind that the roosters take their job as protector of their ladies pretty seriously. We breed the French standard, which is feather-legged. Roosters weigh in around 7-8 lbs and the hen around 6.5 lbs. 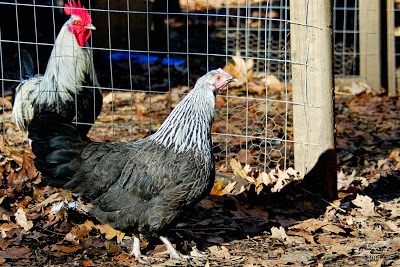 The Black Copper Marans was only recently recognized by the American Poultry Association in 2011. But well over 100 years ago, in south western France, they were the local chickens known as poule de Marans or 'swamp chickens' because the countryside is low and marshy. 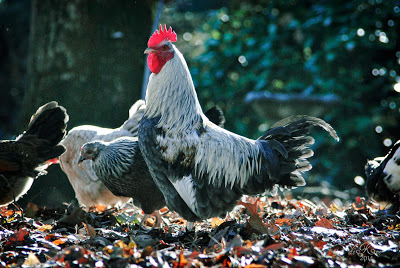 Over nearly a century the poule de Marans was improved by breeding in new genetics from Croad Langshan, Brahmas, Coucou de Malines, and others to create the predecessors of today's Marans breed. 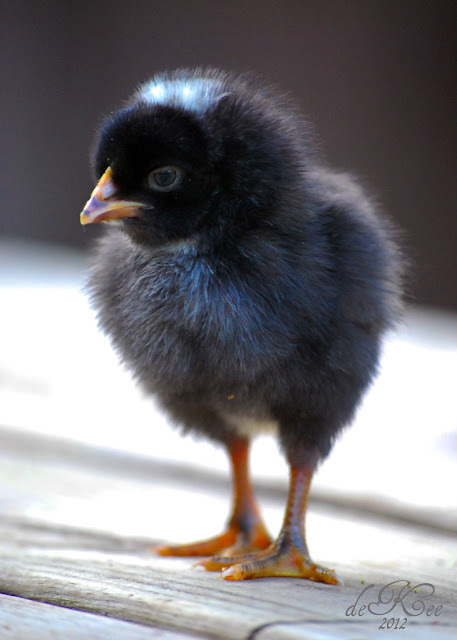 Black Copper Marans are best known for their very deep chocolate- brown colored eggs. This color is deposited (almost painted) onto the shell right before the chicken lays it. Over the length of the laying season the hen will have a little less and less pigment for future eggs that year. So early in the season, after she's had a break, the hen will lay the darkest eggs and if your hen is a good layer you will get slightly lighter eggs going forward. 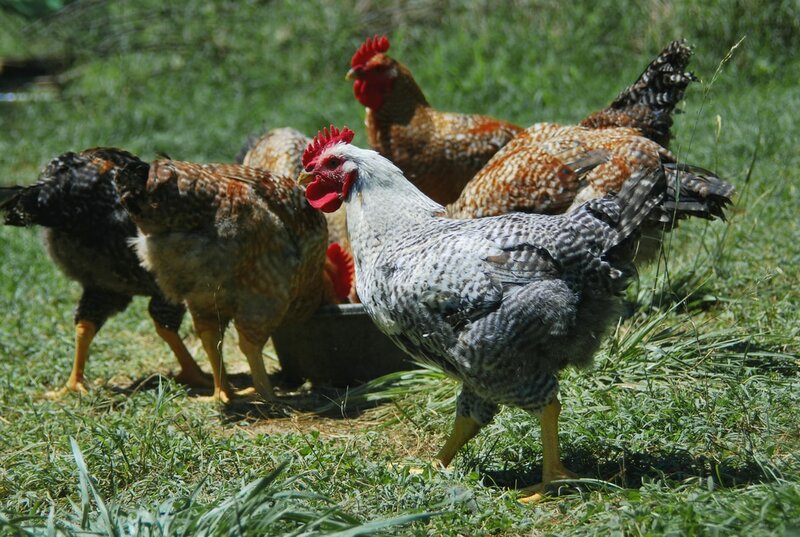 Marans hens are considered an average layer giving approximately 3 eggs per week, or 150-200 eggs per year. These ladies don't have a strong tendency toward broodiness but when they do take a notion to set a nest, they're good setters and mothers. 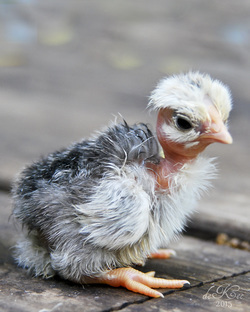 Transylvania Naked Neck Turken Chicks $8 ea. Perhaps not the most elegant chickens on our farm, the Naked Neck is a wonderful breed known for some pretty remarkable traits. The birds have an appallingly fascinating appearance - virtually all the neck and crop area is featherless, just a rich red colored skin, some even have a little ascot of feathers. 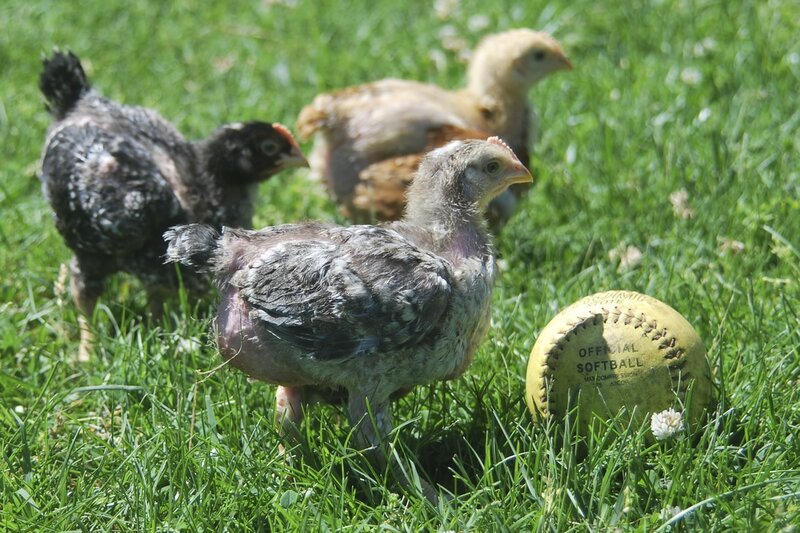 You might wonder why anyone would want these bizarre looking things running around their barnyard. The genetic mutation that gives these birds their naked neck evolved in Romania hundreds of years ago but the breed has largely been developed in Germany. It’s proved to be dominant in breeding and, according to studies performed in France in 2006, it's been shown to increase breast size in birds while also improving egg size. In warm regions, the lower body temperature produced by this unique feather restricting DNA reduces heat stress which improves food conversion rates, and increases weight gain. 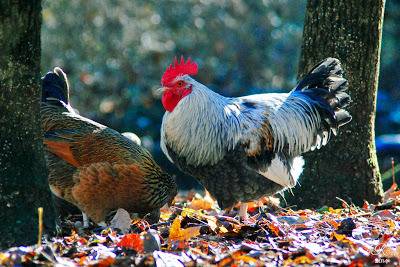 Roosters are typically 8.5 lbs while the hens get to be around 6.5 lbs. 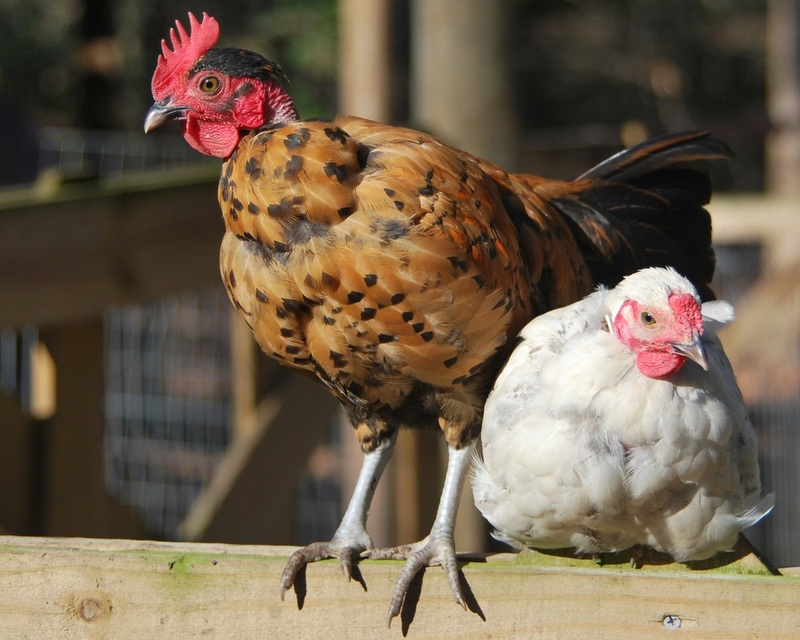 Naked Neck chickens are best known for their excellent foraging ability in either hot or cold weather, these birds are surprisingly cold hardy and pretty disease resistant. Within my own flock, these crazy chickens have no problem charging out into the snow to forage while all the other girls are in the henhouse complaining that they won't put their precious toes in the white stuff. 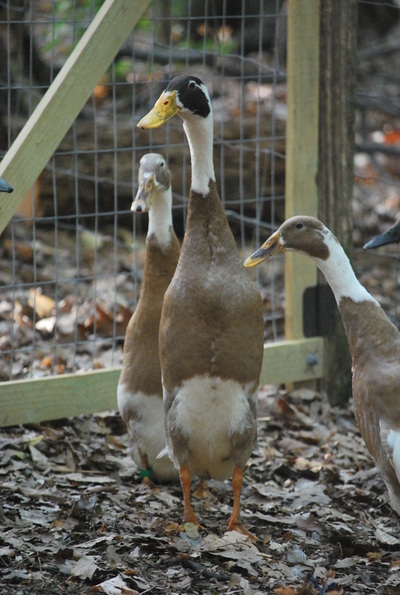 ​Naked Necks are an excellent dual-purpose bird that is a year round layer of large sized brown eggs averaging 200 each year. They also have excellent meat quality; in France this breed is often regarded as the premier eating bird due to the exceptional meat texture and thin skin which crisps to perfection when roasted. 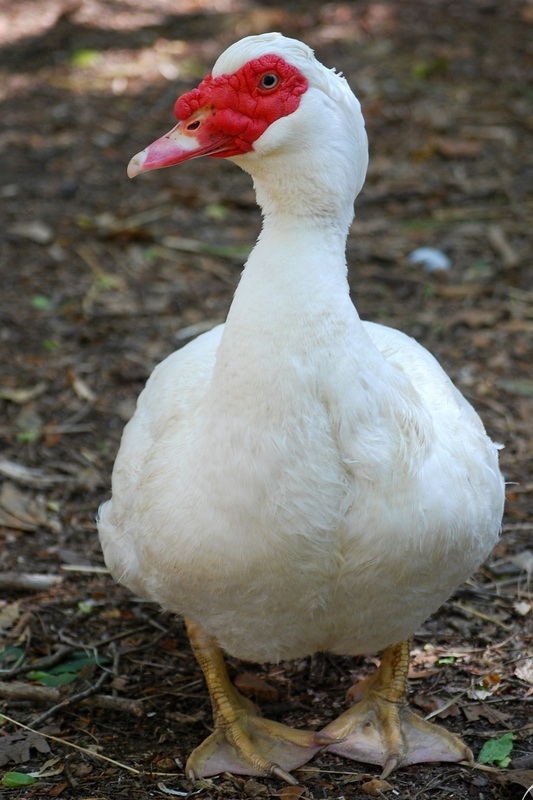 Naked Necks have about 40% fewer feathers than breeds of a similar size which makes them much easier to dress. 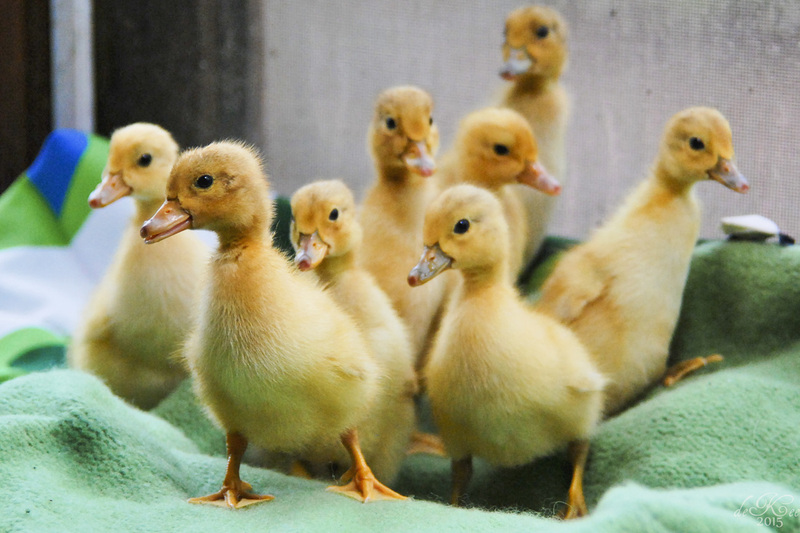 Ancona Duckling Assortment $10 ea. 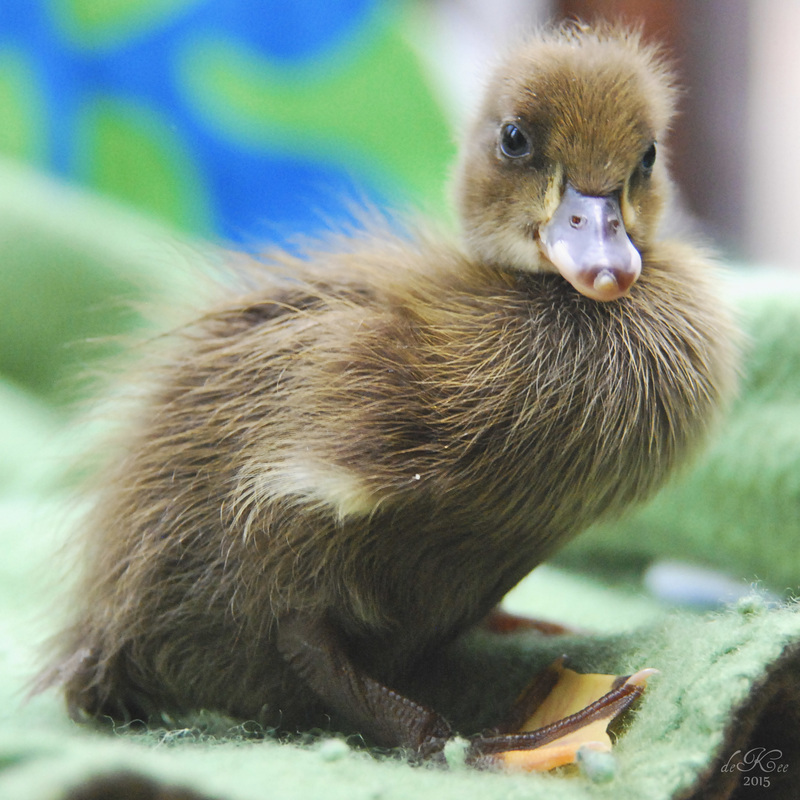 ​Hatching every 2 weeks from April through July. Unique, beautiful, and calm tempered, Ancona are a wonderful dual purpose breed that forages better and has superior laying ability to many other dual-purpose breeds. 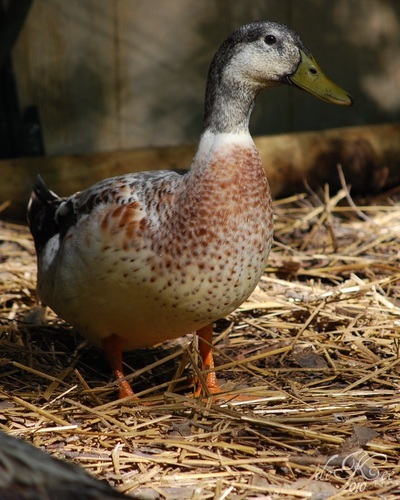 The Ancona is a hardy and adaptable duck well suited for rugged or heavily wooded property. 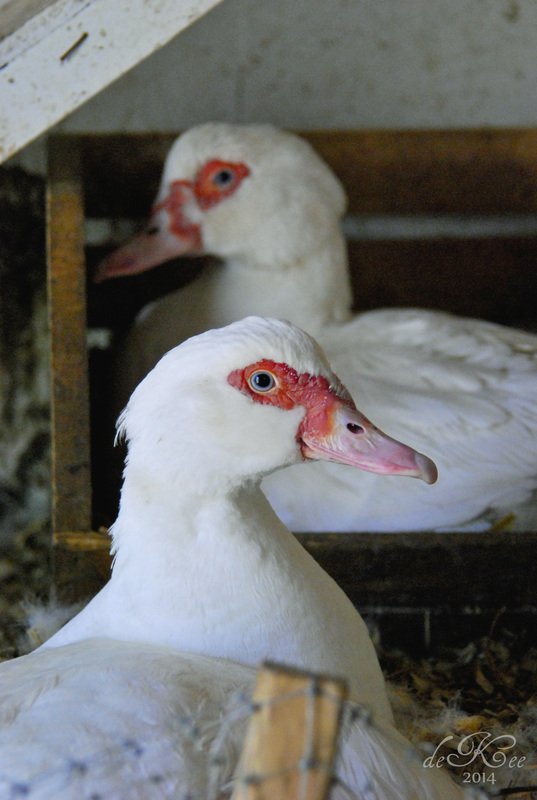 With their individual color patterns, friendly personalities, and laid-back social hierarchy, they are a great addition to any farm. Excellent year-round layers of about 260 white or blue eggs averaging 2.8 oz each. Each of my breeding pens has a drake that carries the blue or green egg gene and several females laying colored eggs. The Ancona is listed in a "critical" status by the American Livestock Breeds Conservancy. Learn more about the Ancona breed here. Our Ancona's are sold as an assortment only (as we cannot guarantee which colors will hatch when you're next in the queue) and may include any of the following colors: Silver, Blue, Black, Chocolate, or Tricolor. See a video of past years babies enjoying a watermelon snack. Silly clown ducks with funny little personalities. Raised primarily as ornamentals, they're also good layers. 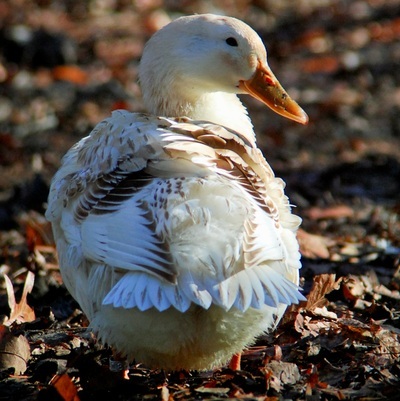 Runners are only second to Dutch Hookbills as the hands-down best foragers of all domestic ducks; they'll keep a garden clear of slugs for sure! Rather high strung, they don't have any desire to brood their own eggs but they'll most certainly produce tons of offspring if you 're able to find an alternative way to hatch the eggs. Very good layers of about 220 white or blue eggs averaging 2.8 oz each. Our Indian Runner's are sold as an assortment only (as we cannot guarantee which colors will hatch when you're next in the queue) and may include any of the following colors: White, Black, Chocolate, Standard Penciled, Emery Penciled, or Saxony. 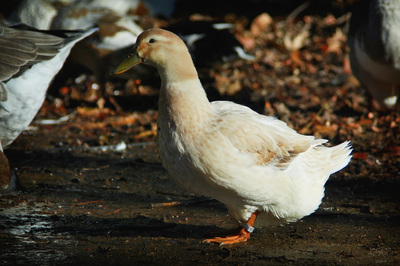 The Indian Runner is listed in a "watch" status by the American Livestock Breeds Conservancy. Learn more about the Indian Runner breed here. The Welsh Harlequin is rather rare in the United States, very stylish, a winner at exhibitions, a layer of more eggs that you can eat, a producer of lean meat, an excellent setter and mother, and a calm, quiet addition to your backyard. This breed has egg yields greater than the much revered Khaki Campbell but are far calmer to manage. Laying ability depends nearly as much on environment and management as it does on genetics, but Harlequins should yield an annual production of 275-350 excellently flavored, large to extra-large white eggs weighing 2.8 oz. on average. In my experience, the hens will lay every day like clockwork. 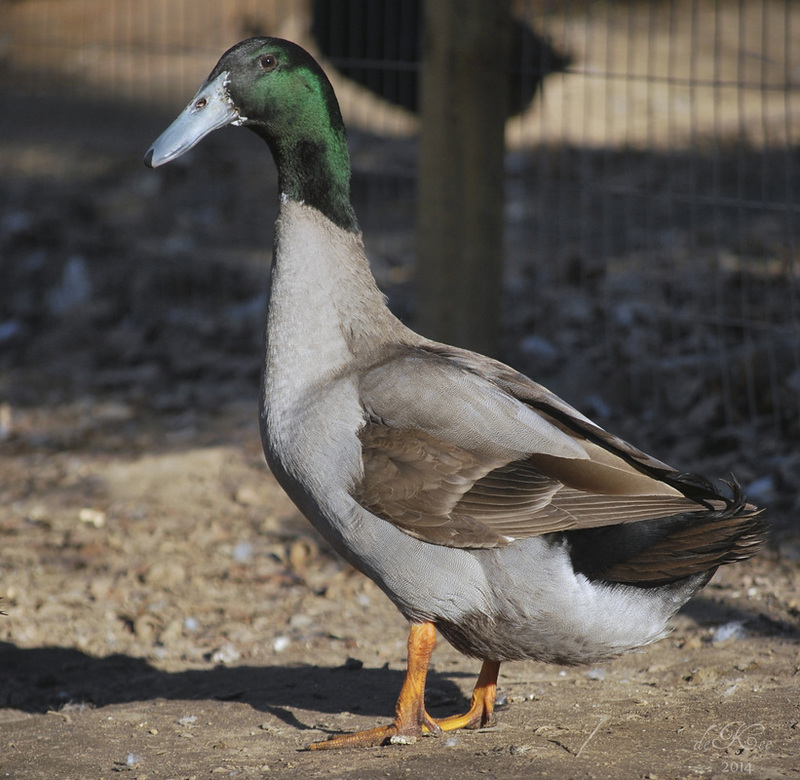 This duck is listed as critical by the American Livestock Conservancy. There is an urgent need for more conservation breeders of Harlequins. Learn more about the Welsh Harlequin breed here. 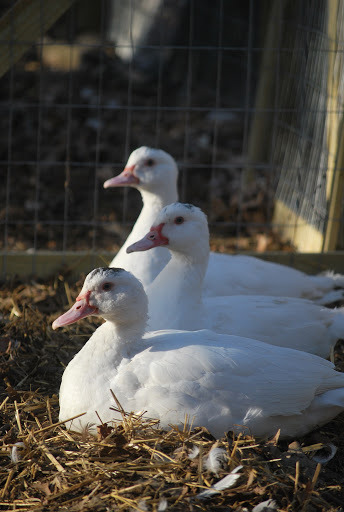 White French Production Muscovy Ducklings $10 ea. Hatching every 2 weeks from April through October. An absolute favorite here, the Muscovy is not really a duck but a large perching waterfowl - a distinct and separate species from other domestic ducks. With some goose-like qualities, some duck-like qualities and a bit of chicken behavior mixed in they're truly a unique variety to keep. 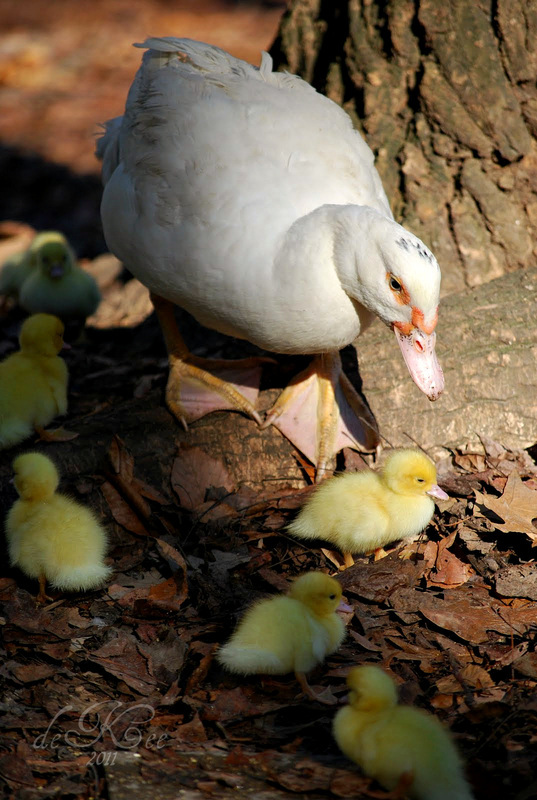 Nearly silent (no quacking, honking, or clucking), they're the perfect backyard pet-poultry. This strain of Muscovy babies grow fast! Drakes will reach 12 lbs in 12 weeks. 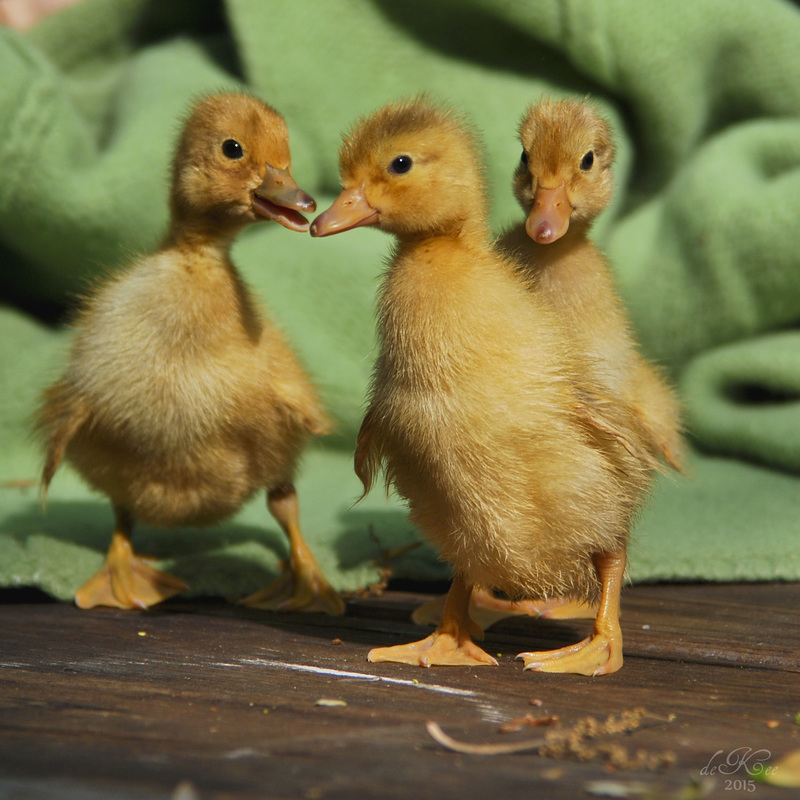 And speaking of fast, these are the fastest little baby waterfowl you've ever seen! 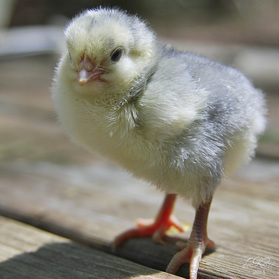 Just picture how busy, playful baby chickens hop and run and whiz around then add even more speed and an amazing jumping ability - I swear they have springs in their legs! They love to climb blocks of wood and stones and are as swift and sure footed as little billy-goats with their perfect tree-duck claws. A lot of fun to watch, but keep a screen on top of the brooder or you'll be chasing them around. scratch along their necks and the boys are really big flirts and love getting attention. When I call their name they smooth their Elvis hair crest and bat their eyes at me. Very sweet. They do love their treats... I typically feed them liver bits or other pieces of meat along with lots of greens. 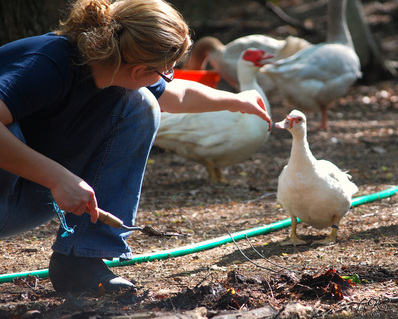 Muscovy love to eat all the things you don't want lurking in your barnyard: ticks, flies, mosquitoes, mosquito larva, slugs, spiders, mice, snakes... they'll pretty much eat anything that doesn't eat them first! During summer, in the early evening you can see them craning their necks up and gobbling mosquitoes right out of the air. All birds sold for pick up here on the farm, straight-run only, minimum purchase 2. 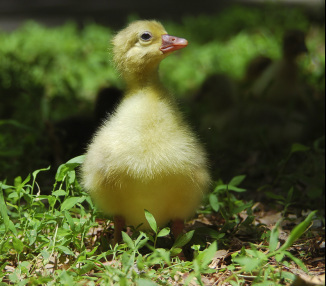 I recommend brooding and growing out your Muscovy ducklings separately of the mallard types (with goslings is ok) so they grow knowing they're a distinct species - this will keep them from breeding with your other ducks when they're adults. Although, they'll remain friendly and are not at all aggressive. 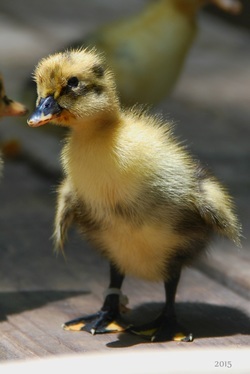 Dutch Hookbill Duckling Assortment $10 ea. 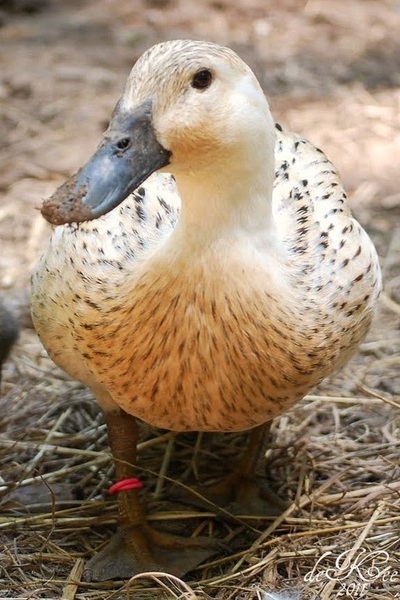 Originating in Holland, the beautiful and rare old Dutch Hookbill duck had a close encounter with extinction in the mid-1900s. According to references, the Hookbill has been traced back as early as 1676. 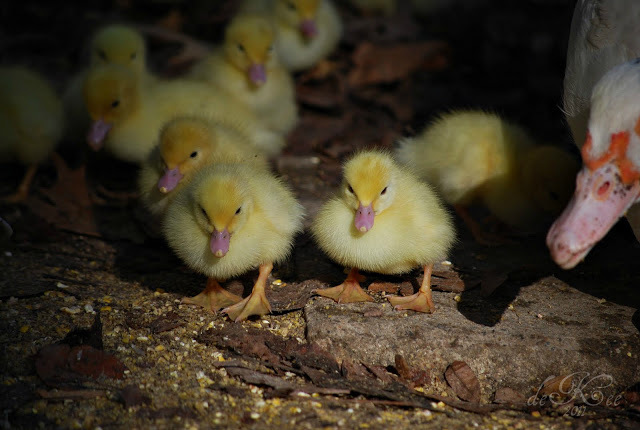 At one time, larger numbers were raised for their eggs and meat in the Netherlands - where they were allowed to forage in and along the canals. 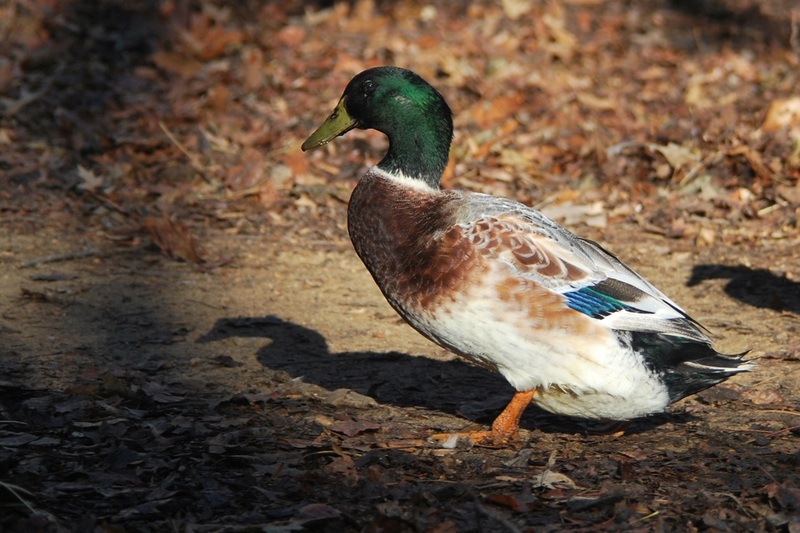 Tradition holds that the distinctive bill shape and white bib were selected to make it possible for hunters to distinguish them easily from wild ducks. A calm, curious, and jovial breed to raise that is easily tamed. As adults, they're apt to follow you around the yard nibbling on your shoes or get right in the middle of you spreading new straw in their bed. 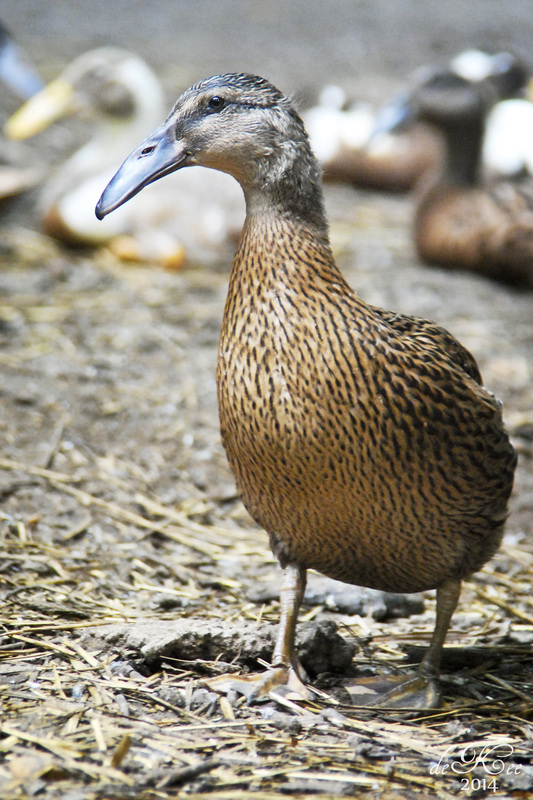 Dutch Hookbills are one of the best – if not *the* best - foragers of all domestic ducks, and excellent layers of about 220 white or blue eggs averaging 2.6 oz each. Drakes are very good with their girls, I've never seen overbreeding at any age and the boys like to take their ladies on small adventures while keeping a close eye on them as they forage. Some of my most observant drakes, they round up their gals at the first whiff of danger. When they hatch their bills are straight and their legs and feet are patterned orange and brown. As they grow the unusual shape of the bill becomes more obvious and their legs and feet will become all brown or all orange. They're very quiet and cautious babies but with regular handling they're far from skittish. After about a week they practically leap into your arms to be held. 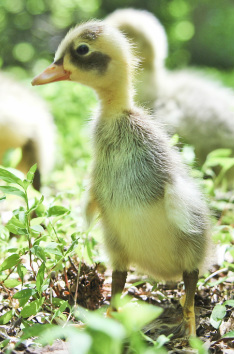 Amazingly unique, they're very wild-type as juveniles, you'll notice a lot of ancient behaviors not normally displayed by domestic ducklings. A really enjoyable breed of duck to raise in any environment! All birds sold for pick up here on the farm, straight-run only, minimum purchase 3 of any breed. 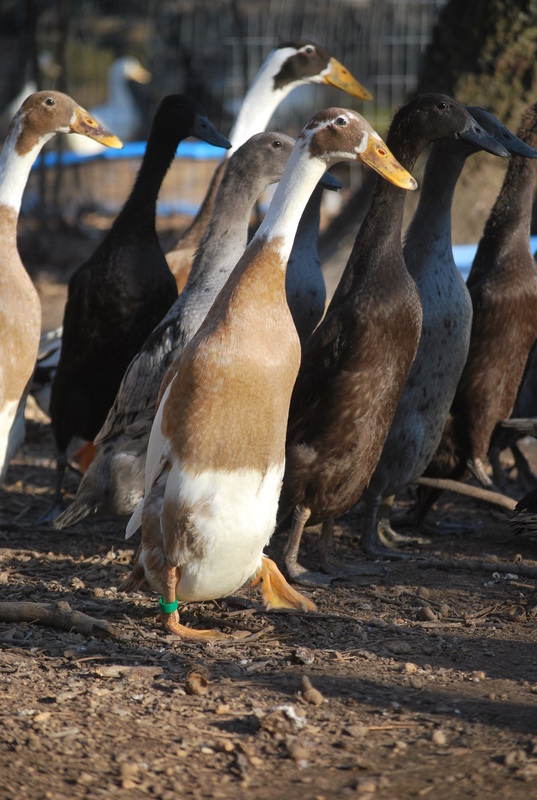 ​Our Hookbill's are sold as an assortment only (as we cannot guarantee which colors will hatch when you're next in the queue) and may include any of the following colors: White, Apricot, Snowy, Dusky, Bibbed Dusky. 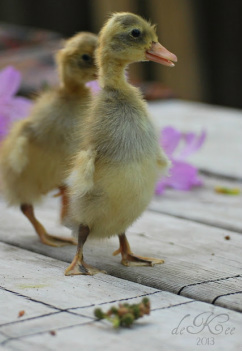 Golden Cascade Ducklings $10 ea. 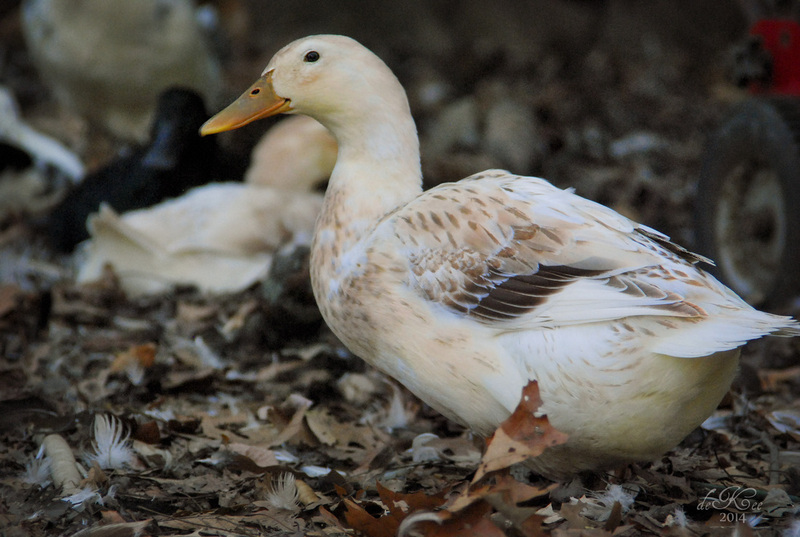 This breed was developed by Dave Holderread in 1979 to create a triple duty duck that combines good egg yields, efficient production of high quality meat, and pretty plumage. A fun and practical dual-purpose breed. 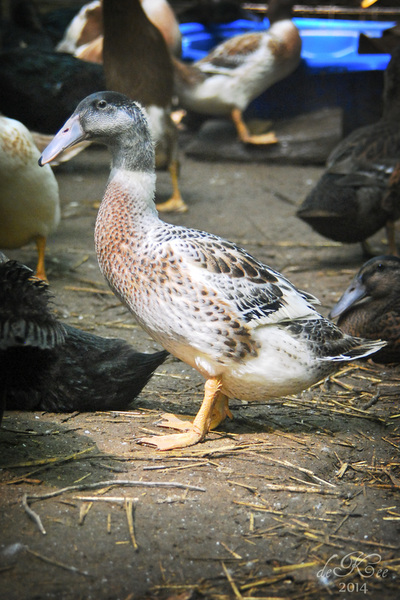 The Cascade is a fast growing, good sized duck often reaching 7 pounds in 16 weeks here on our farm; the meat is well flavored and finely textured. Additionally, egg yields have been amazing… these gals are year round layers and I get about 260 jumbo large white eggs annually weighing about 3.3 oz on average - that's a big egg!. This is a docile breed with a nice personality. Ducklings are a radiant golden yellow and the adults are very pretty as well: Good feather quality in a nice creamy base plumage color with soft golden face markings on the girls and deep blue speculum feathers on the boys. Lots of rich buff and golden yellow highlights to go around. At maturity they almost remind me of very bulky Welsh Harlequin, however, Holderread didn't use Harlequins in creating the breed. This is a great homestead duck! Healthy, hardy, super chunky babies are very friendly and active. 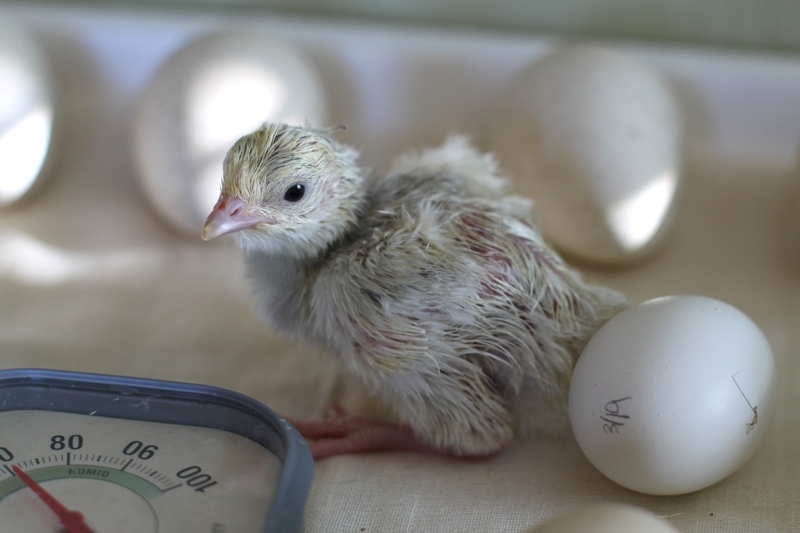 They hatch out like champs and are right up and running around. 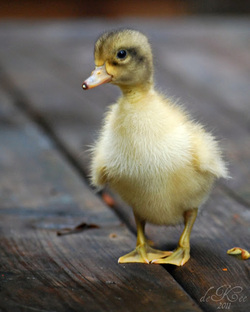 A very easy duck to raise and a great breed for families with small children as these guys are pretty durable. Heritage Pilgrim Goslings $25 ea. 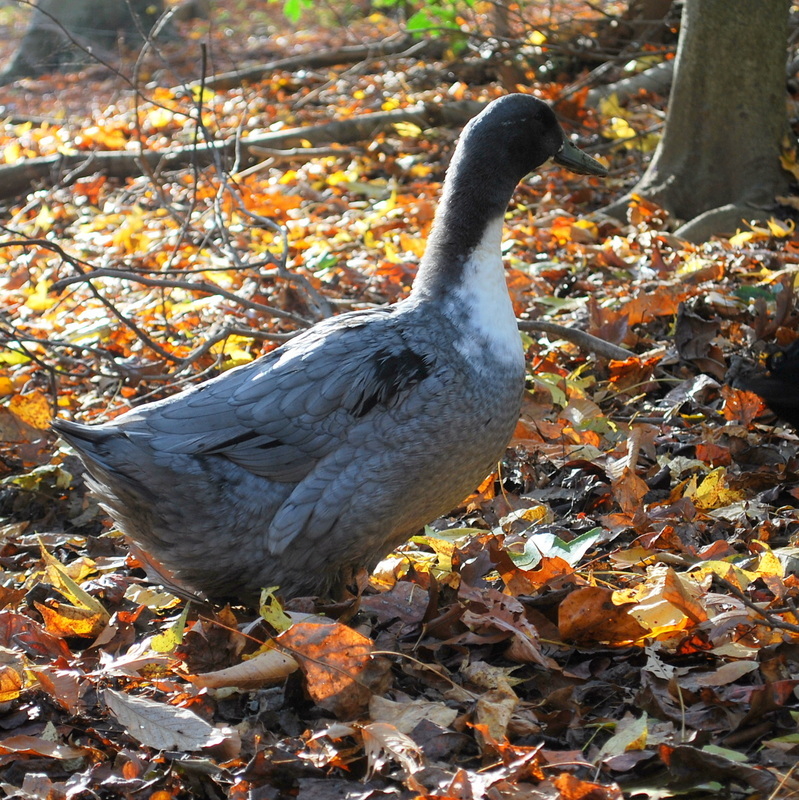 The Pilgrim is a sweet, calm, and friendly medium-sized goose, weighing 13 - 14 pounds at maturity. One of the few goose breeds developed in America, they are auto-sexing and credited to Oscar Grow who established the breed in the 1930s. Females are a soft dove-gray, lighter than a Toulouse with white feathering beginning at the beak and speckling around the eyes - some girls will have more white on their face than others as they age. 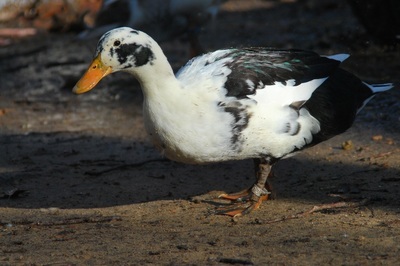 Mature males are white with a bit of light gray peeking out around the wings and tail. 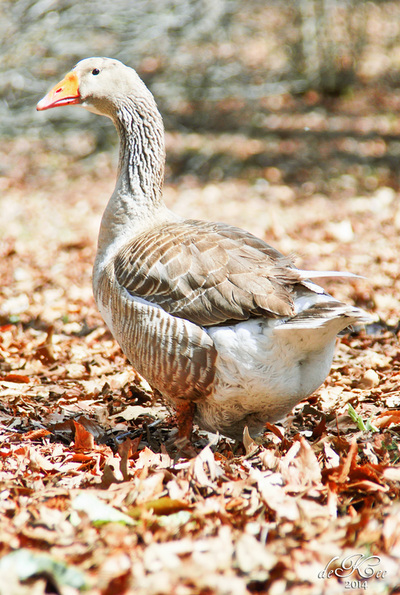 Bills and legs are orange in both sexes, while the eyes are blue in ganders and dark brown in geese. Each year you can expect about 40 white eggs weighing 7-ounces from late January until mid-May or whenever your temps reach about 80°. 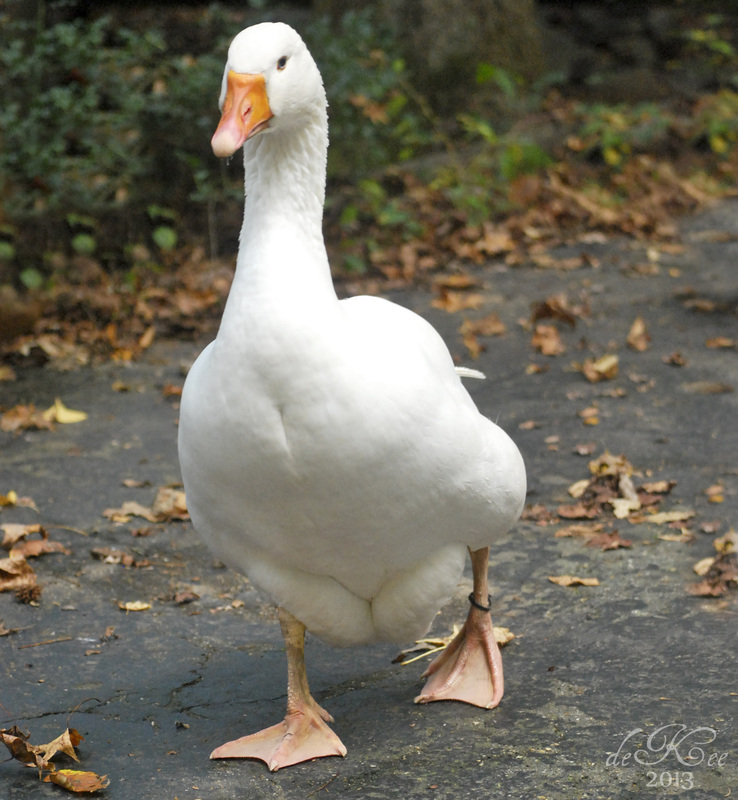 This goose is listed as critical by the American Livestock Conservancy. There is an urgent need for more conservation breeders of Pilgrims. 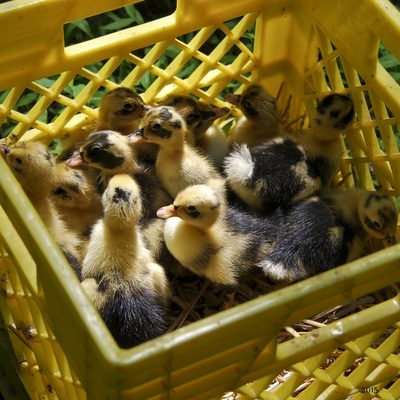 All birds sold for pick up here on the farm, minimum purchase 2 goslings. 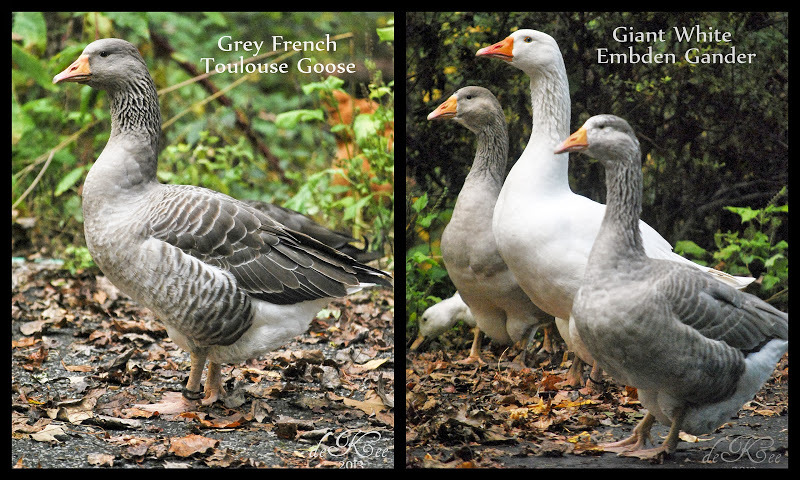 Unrelated breeding pairs available in Sept/Oct. Raise Guinea Fowl & Lower the Tick Count! Native to Africa, they are known for traveling in large, gregarious flocks. There are seven types of guinea fowl, "helmeted" is the variety we raise: they have an oddly shaped helmet, white, featherless face, bright red wattles, and gray polka-dotted feathers. Guinea also lay very tasty medium sized brown eggs. 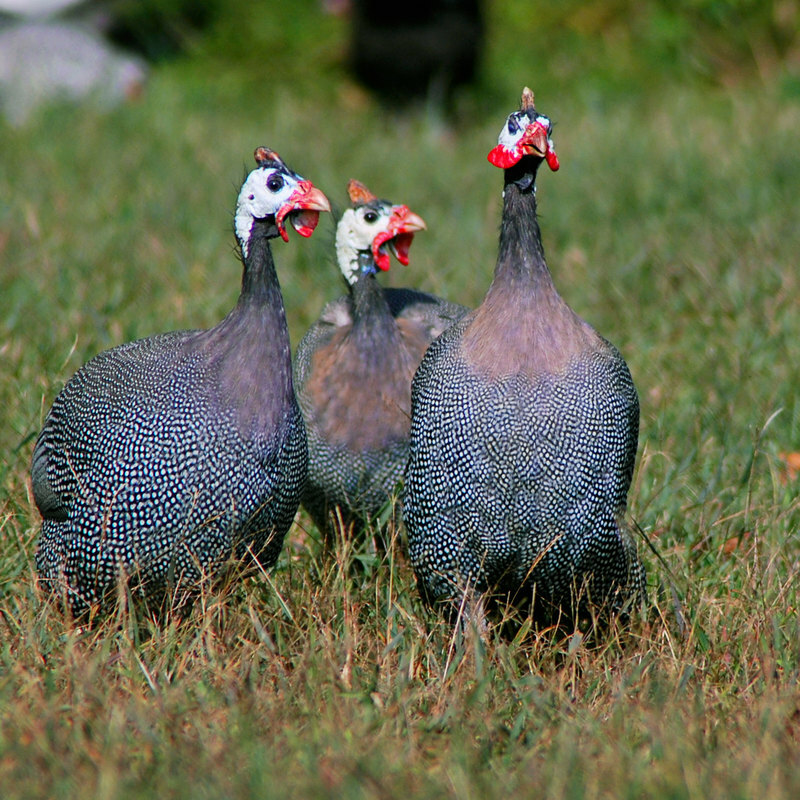 Like officious little men in baggy gray suits, guinea fowl are relentless in their pursuit by scouring your pasture for beetles, locusts, spiders, and ticks. Need a silent tick & mosquito control solution? 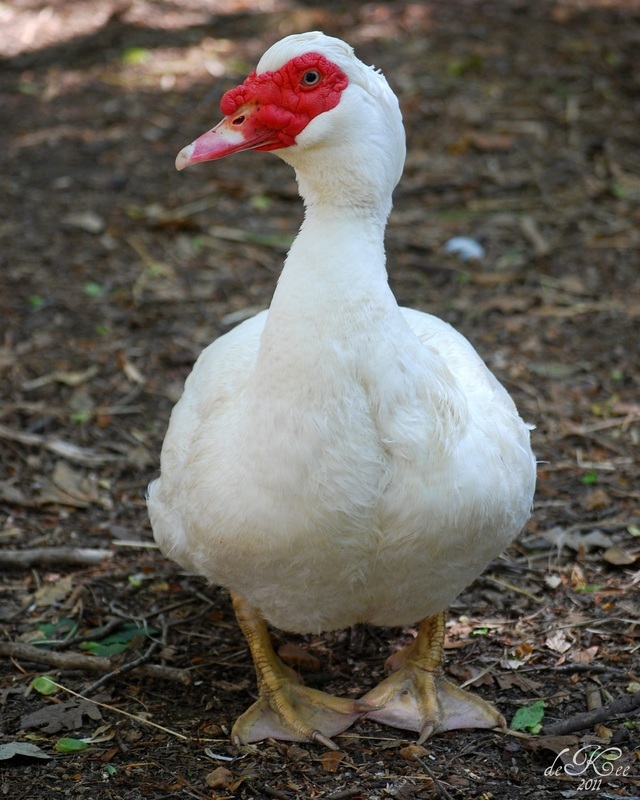 ask about our Muscovy. No shipping: local pick-up in on farm in Accokeek, MD or at my drop-site in Norfolk, VA. Payment due via cash or credit at the time of farm pick-up or pre-pay through Paypal for drop-site pick-up. Limited availability: At the reservation page (blue button above) the number you see in the "remaining" column is the number remaining for pre-order. You must reserve a minimum of 5 chicks - and you must purchase all the chicks you reserve. If you want a bird that’s healthy, grows well with excellent feed conversion and reaches a consistent processed weight of 5.5 - 6 pounds in 12 weeks the Kosher King is your bird. The average age of a white-feathered broiler in the U.S. is 42 days and no matter what’s in your feed, a 42 day-old broiler is too young to develop any real taste or texture. Additionally, I like to grow my birds out large to maximize my time and have the highest meat to bone ratio. I've deconstructed both a 3-pound chicken and a 6-pound chicken and found that both have about 1.5lbs of bone/inedibles. Makes more sense to grow a larger bird - to a certain point anyway. 2-weeks old and bigger than a softball! ​If you're like me, you want a large growing but healthy and sturdy meat chicken with a richer tasting and better textured meat. With the Kosher King I don’t have the array of health issues that plague the Cornish-cross, such as risk of heart attack, weak legs, temperature sensitivity, and lethargy. When the Cornish-cross lay down all the time it creates a callus on their chest that looks and feels gross when you dress them out. you feed them which means more meat and less feed cost for you. Even though they almost take twice as long to grow out, I find that these birds cost me the same amount in feed as the Cornish-x because they actually forage. And unlike Freedom Rangers, you'll get excellent consistency in your dressed weights and much larger breast meat. Kosher King has good growth rate and feed conversion, excellent livability and a 70% live to dressed weight yield. The breast meat is on a long keel in natural proportion to the leg meat. This hardy bird is an excellent forager well suited for any environment. Photos don't do them justice... these are a big bird that's perfectly portioned! And at 12-weeks they'll be the best tasting chicken you've ever grown out for meat. ​St. Run - No shipping: local pick-up on farm in Accokeek. 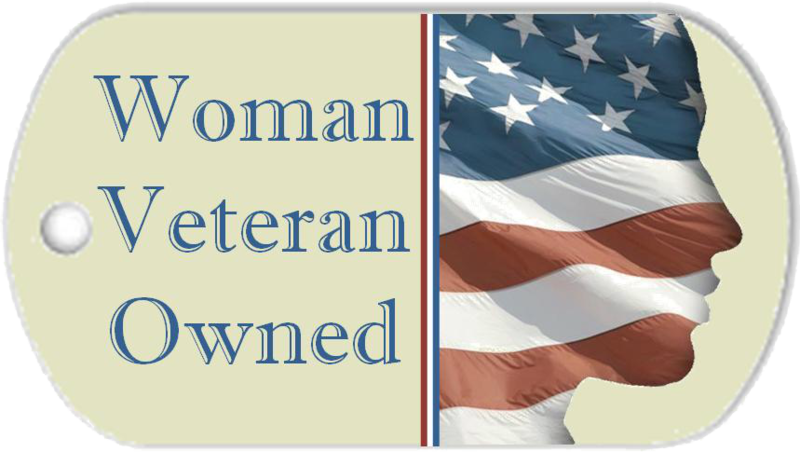 Payment due via cash or credit at the time of pick-up or you can paypal me ahead of time. Limited availability: At the reservation page (blue button above) the number you see in the "remaining" column is the number remaining for pre-order. You must reserve a minimum of 3 poults - and you must purchase all you reserve. St. Run Only. Have you ever wondered what it would be like to raise your own turkeys for Thanksgiving? 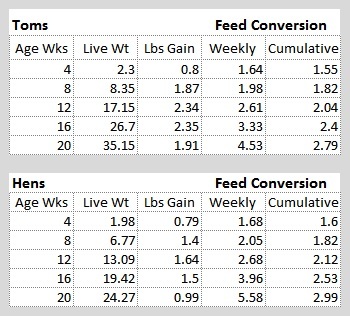 Perhaps you’d prefer to monitor exactly the organic feed your flock consumes. And maybe you just want to test the waters for becoming self-sufficient by raising most of your family’s food? Poultry is an easy start for that adventure and turkeys are very gentle birds for your family to raise – they’re perfect for kids. Raise one for Thanksgiving and two for the freezer! These are tender, juicy, and delicious meat birds and it’s why they’re called the “Cadillac” of table turkeys. 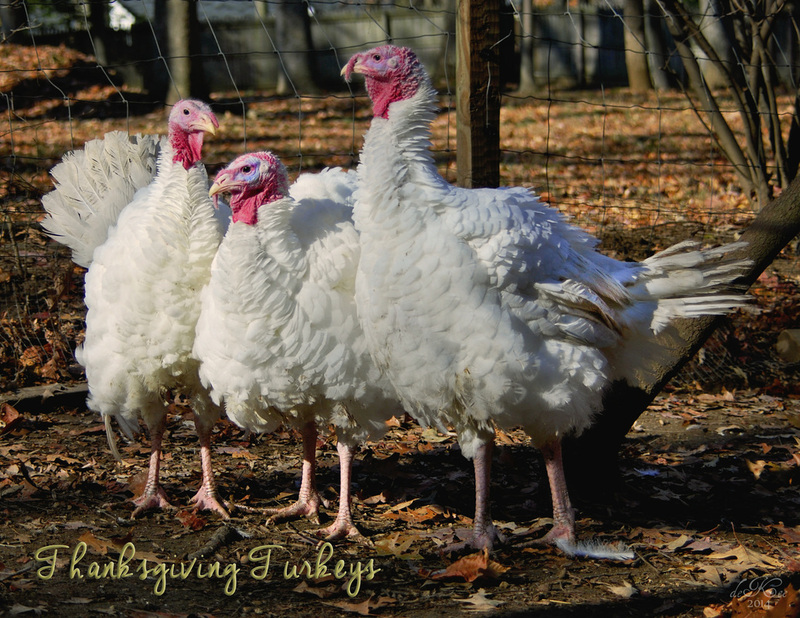 Highly disease resistant, excellent feed conversion, and a very ethical grower - there’s no better meat turkey anywhere. White feathers give the birds a neat appearance when dressed. Properly managed, I can guarantee that this will be the juiciest and most flavorful turkey you've ever eaten! Most folks start their Thanksgiving turkeys in the middle of July and I’m no exception, I like to grow my toms big for lots of delicious weeknight dinners (but not 50lbs big!). Your hens will be smaller, so depending on the size of the crowd you host for Thanksgiving you’ll likely want to harvest the girls around 20 lbs for the table then cut up and freeze the larger Toms for regular family dinners throughout the year. 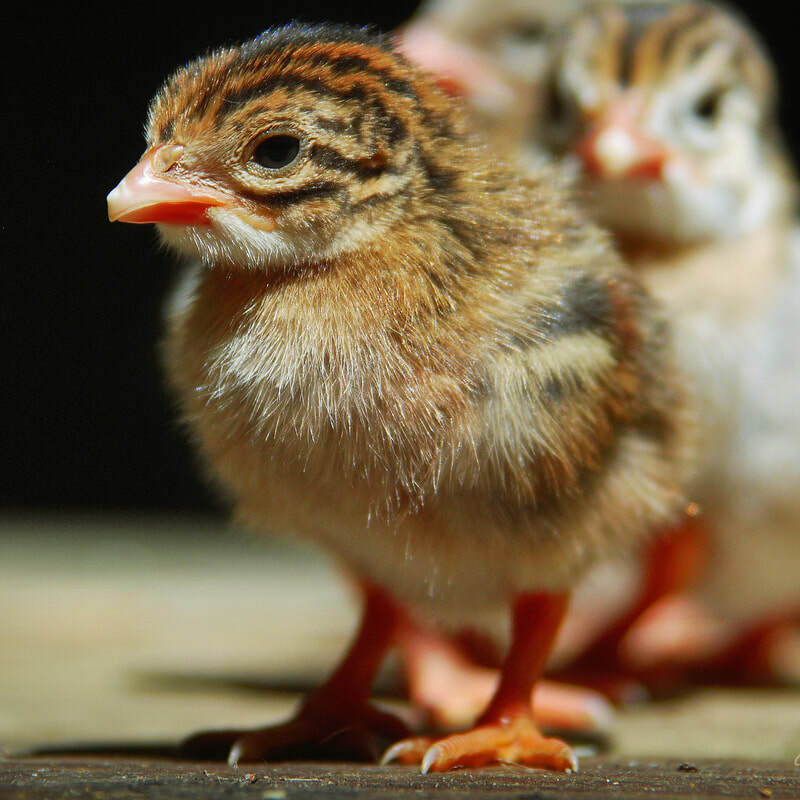 I start turkeys on high quality Turkey starter but any game bird feed at 24%-28% protein will work fine for the first month, then change over to meat producer feed at about 18% – 20% protein and enough nutrition to reach a nice harvest weight. Provide pasture for foraging or other good greens, pasture will really reduce the feed bill! In the last month I mix in 1/3 turkey starter, 1/3 cracked corn or millet, and 1/3 molasses sweet feed to make for an amazing tasting bird that's very moist and meaty. Poults are very fragile and prone to piling on top of one another if they get cold, so special care must be taken in the first few weeks. Then, when they're well started, giving them space to roam and roost while they grow out is the key to hardy, healthy birds. I've successfully raised beautiful, healthy small groups (8-10) side-by-side with my chickens, ensuring the turks had nice, study roosts overnight. Grow your own organic lamb for the freezer! Humanely raised on pasture they remain free of antibiotics, herbicides, or pesticides and are augmented with locally milled non-GMO & Soy-free grains. depending on your preference for weight and flavor they really only need a couple more months to grow out on your pasture. These lambs are raised naturally on their mother's milk while out to pasture where they graze through fields of grasses and clover. Our sheep are Poly-pay, a wonderful multi-purpose breed known for their exceptional flavor profile and "non-gamey" taste. Grassfed Lamb is one of the healthiest sources of red animal protein - packed with iron and of a significantly higher heart healthy omega-3 fatty acid than its beef counterpart. Tender, moist, and fantastic to prepare on the grill, in the oven, in the crockpot, or wherever your culinary imagination takes you! If you're looking for 2 or 3 year old ewes (who have already lambed) we have those also, we just need to give them a haircut and a pedicure to get the summer season off to a good start for them. I received these as hatching eggs from Master Breeder Craig Russell over the summer. 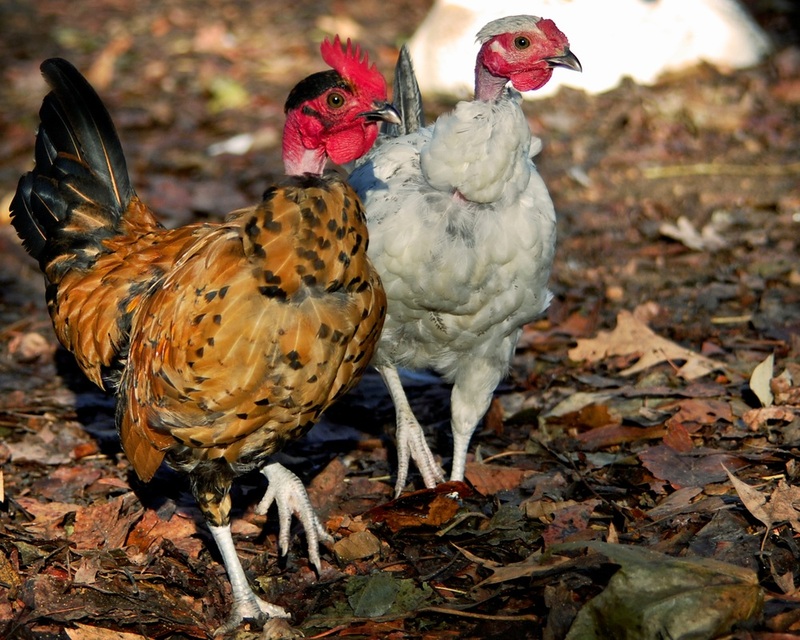 The Dorking is an ancient landrace chicken introduced to Britain by the Romans and were used to create such British breeds as the Speckled Sussex and Buff Orpington. This interesting five-toed breed quickly acquired a reputation for an especially tender meatiness with abundant white breast meat. Imported to North America in the mid-nineteenth century, the breed has kept its reputation as a special table bird with sweeter, more delicious meat than other varieties. As we all know too well, over time, dark-feathered chickens lost market popularity to white chickens and Americans prefer yellow skin on their meat birds. So the Dorking is primarily kept in the U.S. in small numbers for exhibition by fanciers. The Dorking has a large single comb and a stout, rectangular, broad breasted body with very short, sturdy legs. The traditional Dorking weighs 8 to 14 pounds. The shanks and toes are white. The unusual fifth toe of the Dorking is found on the back of the foot between the rear toe and the shank. Worldwide, only four other poultry breeds have this trait. The breed is tight-feathered with abundant hackle. The Silver Grey Dorking is an especially striking bird. The black underparts and tail have a lovely blue-green sheen, while the hackle and saddle are silvery white. 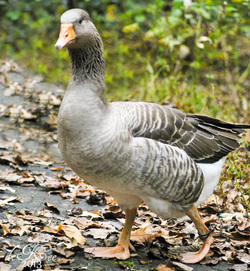 The Silver Grey hen is colored ashy to dark slate gray with penciled markings, a silver black-striped hackle, and a salmon-red breast. The breed is great general purpose bird, especially for meat. Dorkings are reliable layers, even in winter, good meat birds, and very cold hardy. Hens make excellent mothers, roosters are quite protective of their hens, but the breed overall is friendly, docile, and likes to stay close to home. 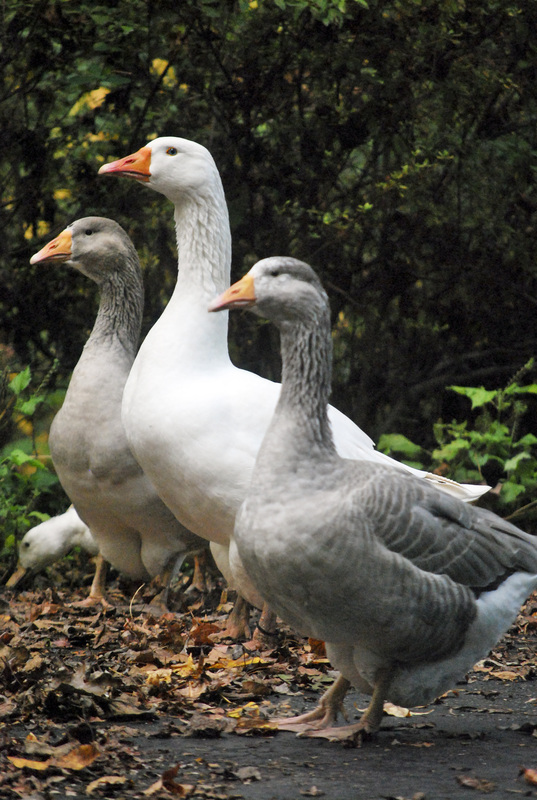 We now breed only Pilgrim Geese which are auto-sexing! A beautiful Giant White Embden Gander is now available. 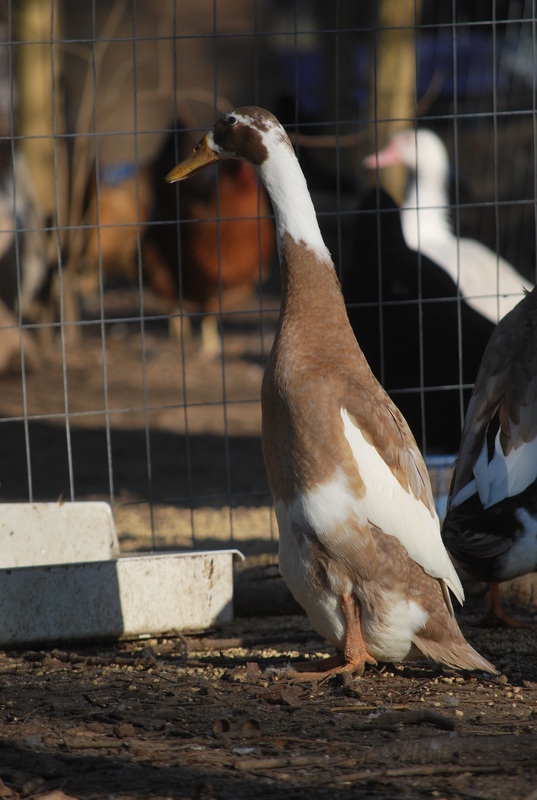 He's ready to be an asset to your flock for both excellent breeding stock and protection. He's only 1-year old and he's already nice and big! Mr. Carson was hatched last spring and was hand-reared on the farm to be sweet and friendly. He's a beautiful boy with the light blue eyes and sparkly white feathers. He's are not the slightest bit aggressive to humans or other fowl but he will chase off cats and dogs - this protectiveness will increase quite a bit as breeding season advances (Jan - May) and he safeguards his wife. He responds positively to a female voice right now and it shouldn't be difficult to train them to come toward a friendly male voice fairly quickly. He's large now and will grow even bigger in the next couple of years. Great protection for your other fowl, he'll chase off foxes and racoons without batting an eye. 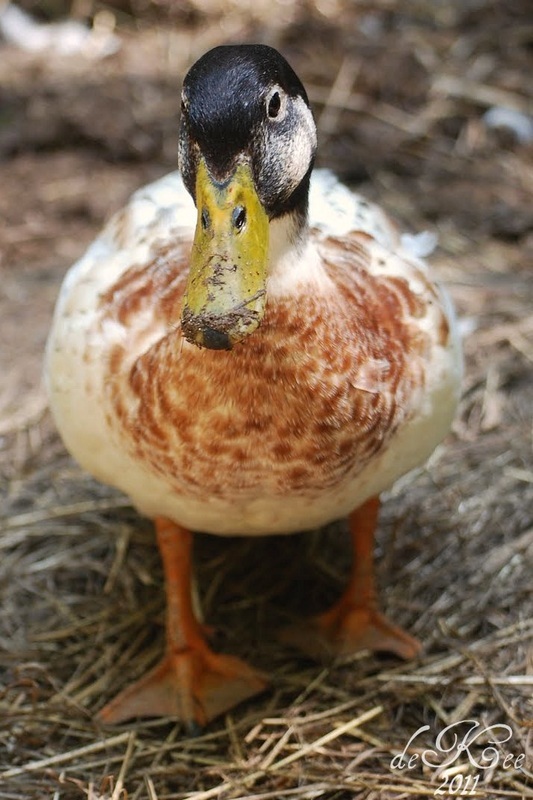 And he'll come around to make sure you're not mishandling his ducks either. 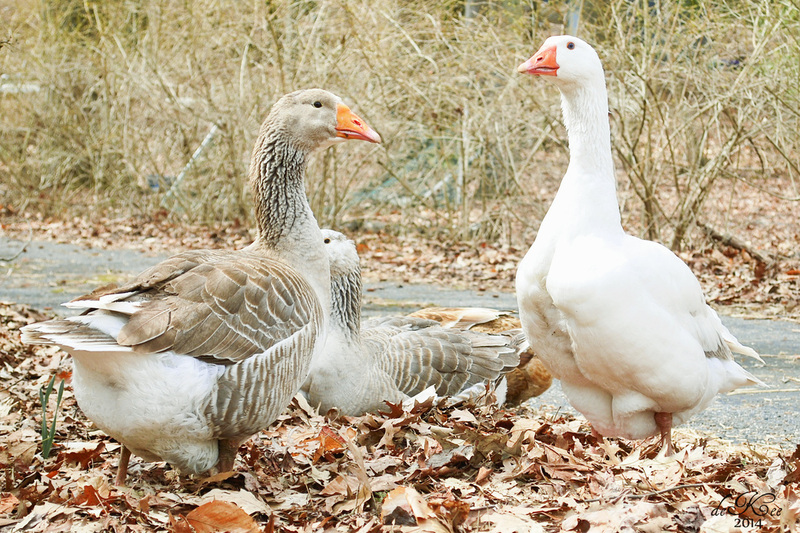 Very engaging, and fascinating pets, geese are a long term relationship. They have quite a lifespan and can give you loyal companionship for 20+ years. If you chat with them, they'll chat with you. They also have long memories and your friendship will benefit greatly from a good balance of letting them know that you're the head goose and treating them with kindness... oh and lots of fun snacks like greens and watermelon. While not a pet-able pet, they're extremely intelligent (smarter than most dogs) and love to learn your routine. They may appear imperious at times but I view it more as a mutual respect for one another's intelligence - and that they're always keeping one eyeball on you as a wily human. An extremely enjoyable animal to raise. Sold! This pretty girl is keeping a lonely Toulouse gander company. 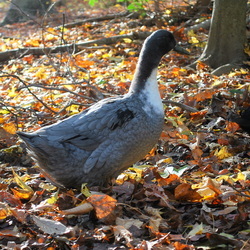 A beautiful Grey Toulouse Goose is now available. She's due to start her first laying at any time. Take home the Embden Gander with this pretty girl and you have the perfect mating for producing a fast-growing meat-hybrid offspring with excellent flavor and texture. 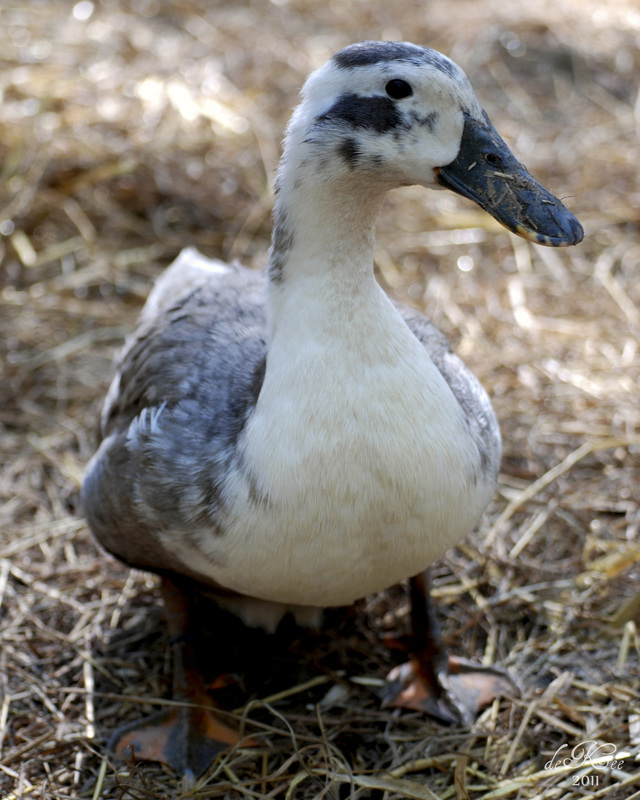 Ms. Hughes was hatched last spring and was hand-reared on the farm to be sweet and friendly. She's not the least bit aggressive to humans or other fowl but but she's appropriately standoff-ish as female geese should be. She's very curious, well mannered and responds positively to a female voice right now and it shouldn't be difficult to train them to come toward a friendly male voice fairly quickly. 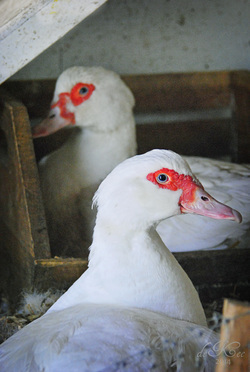 Second season White French Production Muscovy Trio (drake is one year older) for sale. The boy is a sweetheart and the girls are friendly little homebodies. This strain is very calm and not aggressive and you'll have babies this season! 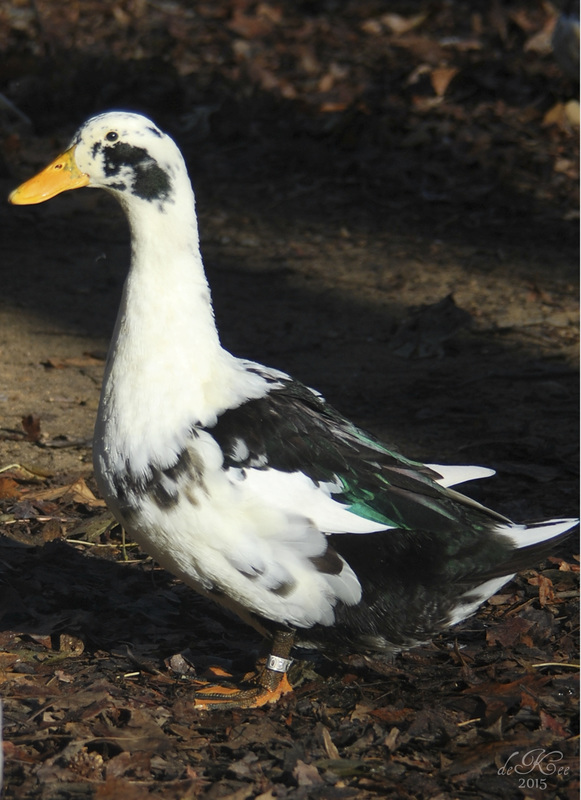 This is a French improved breeding stock that produces birds 50% larger than our American Muscovy. Very quiet and calm, lay lots of nice big eggs Feb-Nov (then tend to go broody for winter), excellent foragers. 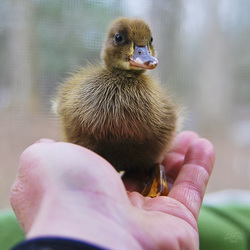 Wonderful personalities for pets: boys are super sweethearts, big flirts when you call their name; girls are amazingly docile... also the best broodies & mamas! These ladies regularly hatch out 12-18 babies at a time (35 day incubation). For meat production, drakes usually attain a live weight of 12 pounds in 12 weeks. My typical dressed weights: Hens 3.5- 4.5 lb. and drakes 8 - 10 lb. (most dress at 9 lbs). High in meat-to-bone ratio, with less weight loss after cooking than Pekin ducks. Rooster and pullet pictured here. These adorable little Naked Neck Turken chickens have amazingly friendly little personalities. They're perfect for children or for replacing that teacup chihuahua in your Paris Hilton handbag. They're very easy to handle and I find that they have no trouble taking care of themselves among my flock, they're not bossy but they do get their way! These ladies are curious and love to follow their humans all around making cute little chortling noises. These tiny but hardy birds are what's known as "bow tie" because they have a little ascot-like fluff of feathers on their necks that drapes down to cover the skin on their chest, which is also featherless. 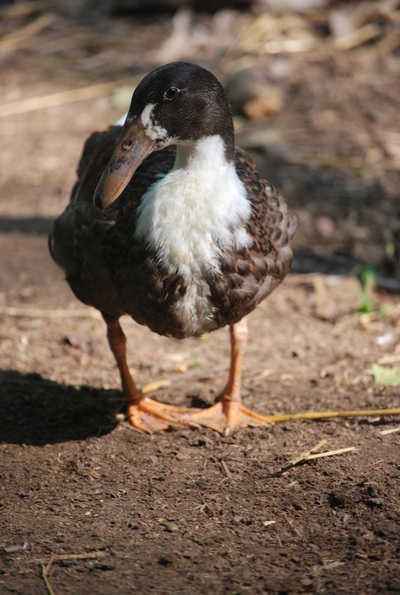 The exposed skin on their necks turns bright red in the sun, but when not exposed to the sun, it remains pinkish. Also called "Transylvania Naked Necks" because the mutation for a featherless neck first arose in domestic chickens in northern Romania hundreds of years ago. Naked Neck Chickens have about 40% less feathers than other breeds and are very feed efficient. 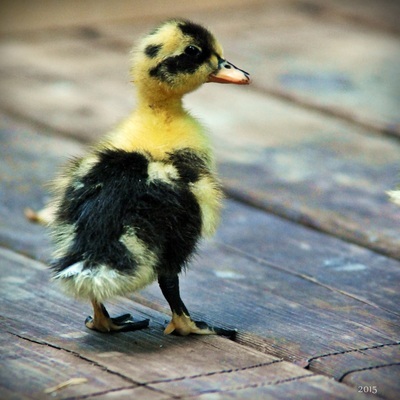 With less feathers, there is less need for protein to grow and maintain feathers. This means that the protein being consumed is put toward production of more eggs. Studies have shown that Naked-necks tend to be immune to many poultry diseases and that bare-necked birds are more resistant to heat... though I find mine to be very winter hardy in our region as well. We have replaced this breed with the Golden Cascade which is even better! 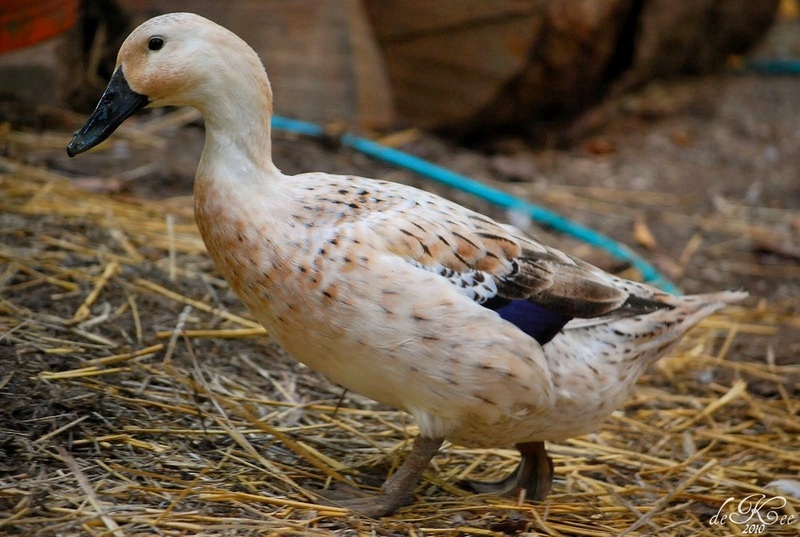 Developed for commercial egg producers, the Saffron Queen is a hybrid duck which lays more eggs (and larger eggs) than the Khaki Campbell duck which is one of best all-around heritage layer duck breeds. While Campbells can be excitable and a little on the noisy side, these ladies have a nice, calm temperament and a friendly personality - very sweet and playful girls. As adults the females range in color from a nice deep honey color to a darker nutmeg shade, often with a white necklace, and bills of varying colors. These girls are sweet and friendly with lots of energy for foraging. They lay huge eggs and plenty of them, they're such reliable hens. They lay all winter when most of the layers are slacking off a bit and also provide me with lots of table eggs in the spring and summer while all my pure breeds are making me babies. SOLD! These fat and friendly ladies are happily ranging with Kunekune pigs at Black Valley Farm! We have replaced this breed with Ancona's which are friendly & even more unique! These girls are new layers and have been laying me a nice big egg each every day. The Swedish is a medium sized bird that weighs about 6 lbs with a stocky body. 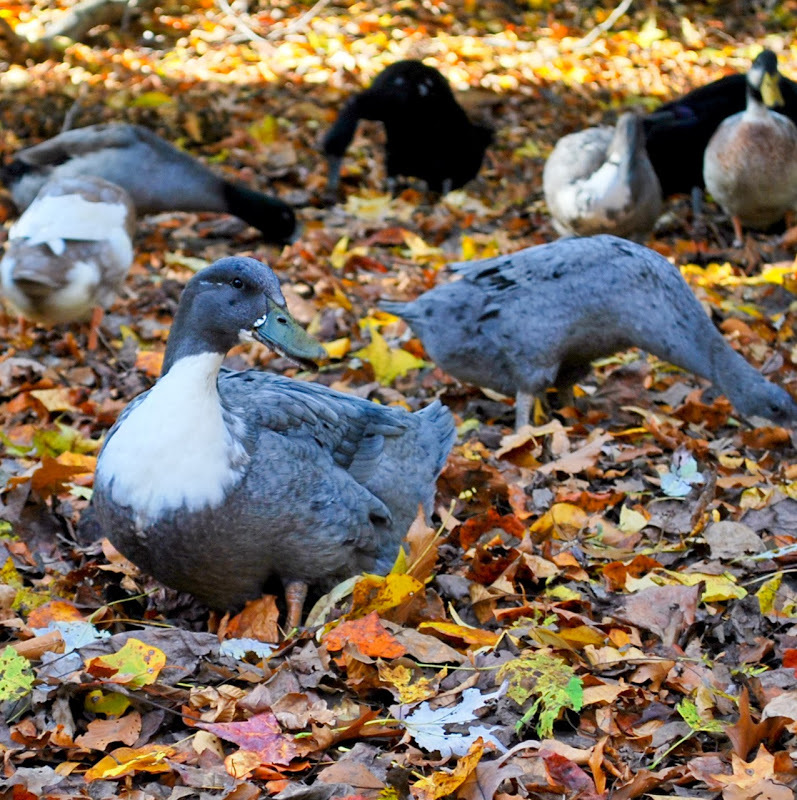 The feathers on these girls is a pretty uniform bluish slate with a clear white bib. They'll lay about 200 primarily white eggs every year with an occasional blue or gray tinted egg. 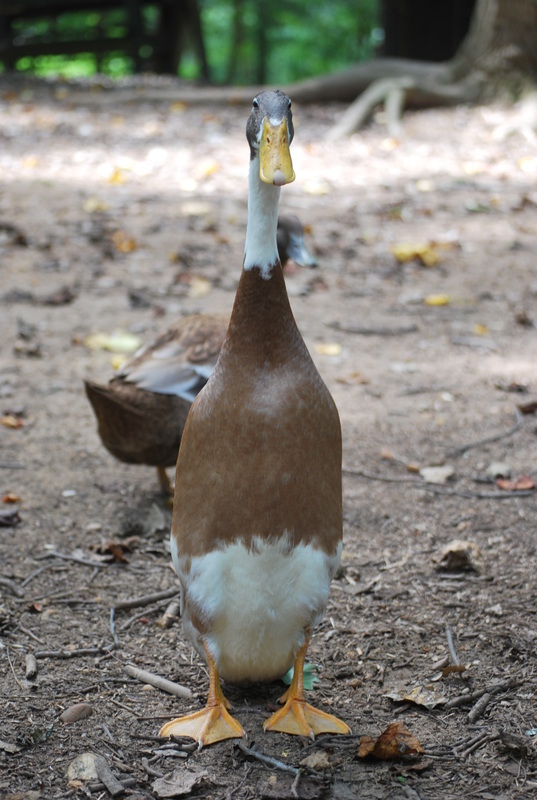 Swedish are very calm and friendly ducks, these girls are not skittish at all. They're very active foragers and will keep your yard clear of bugs. The Swedish duck is listed as “Watch” on the American Livestock Breeds Conservancy’s Conservation Priority List. 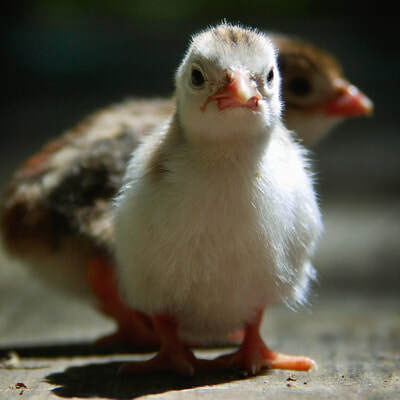 Juvenile Guinea Fowl (5 Avail) $9 ea. SOLD! These busy birds are now happily working as the perfect organic tick preventative and as a sustainable meat source for our goood friends at Moss Farms. Plagued by Japanese beetles? Noticing an abundance of ticks on your property? Stink bugs terrorizing your garden? 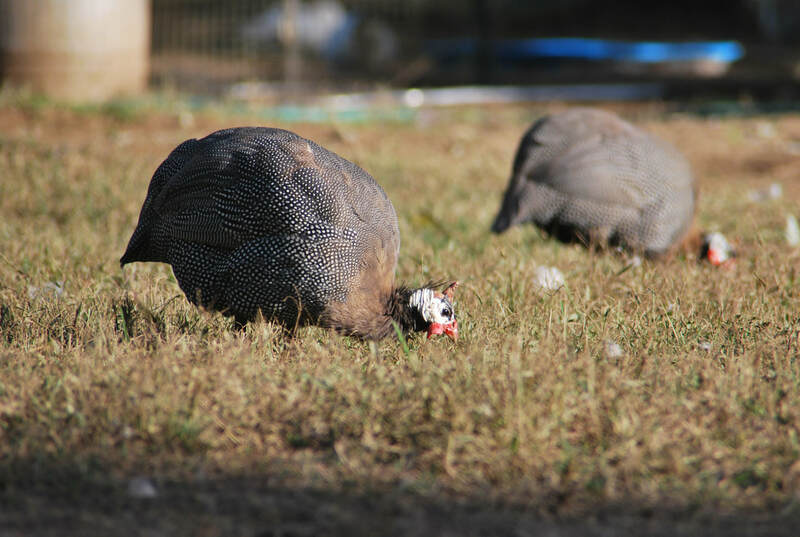 If you want a highly effective, chemical free solution then keeping a few guinea fowl grazing on your property is the answer. 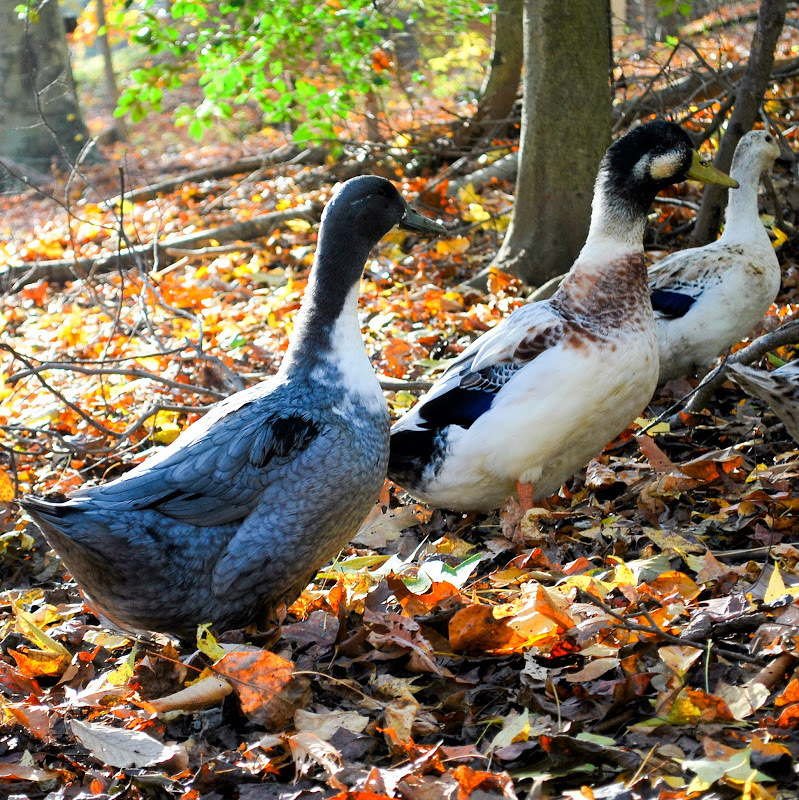 These interesting birds will keep your property clean of insect pests and even kill snakes! Have a small property and/or need a silent tick & mosquito control solution? 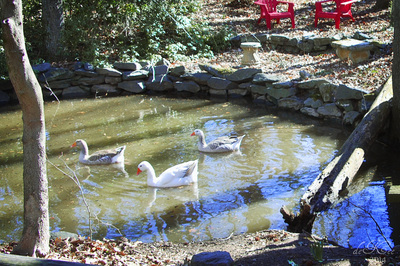 ask about our Muscovy. Sold as straight run; minimum purchase 3 guineas. I hatched out and raised these two boys indoors until they were fully feathered and ready to move outside. They followed me all around the house and whenever I sat down they wanted to come up into my lap to snuggle. They were so great about riding in the car in their bed too. They're really sweet boys even now that they're living out with the flock. If they see I have food they'll toddle on over to eat out of my hand but are always polite about it. They're still very curious any time I'm working outside and want to peek around to see what I'm doing. The product of my Holderread Black Runner drake and one of my lovely Penciled Runner girls, these boys are an "off" color. However, they're lovely just the same, showing off a rich pewter coat with a nice penciling detail outlining their feathers. They still have small splashes of white on their neck and chest which I predict will gradually become less and less and eventually disappear after their first molt. These pictures don't do their coloring justice, they're so much prettier in person. They're a shiny charcoal color with a beautiful silvery penciling on the flight feathers that gives them nice interest on their backs. Sort of like they're wearing a silver cape. I used to take them with me to the farmers market and let them roam freely. They were so friendly and would visit all the shoppers looking for a snack and everyone still asks after them. 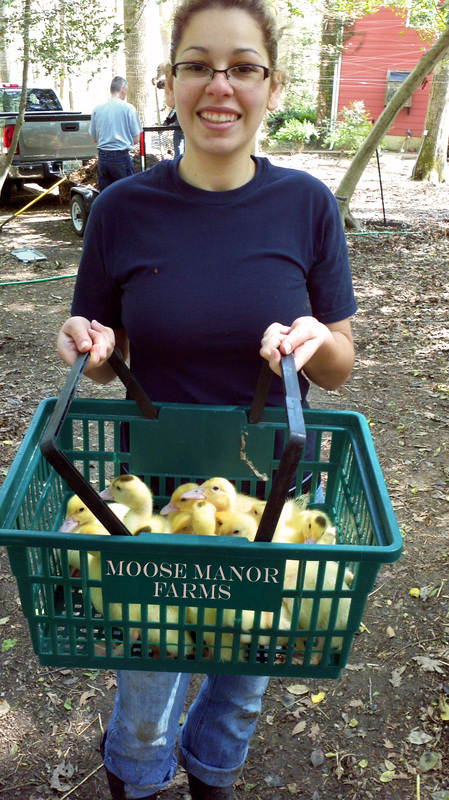 I thought they would be excellent for a children's program or as therapy ducks... they're sweethearts and I would love to keep them, but as breeding season approaches I have to consider the rest of the flock.